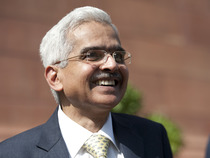 Throwing his weight behind fostering cooperative federalism, RBI Governor Shaktikanta Das on Tuesday said state finance commissions (SFCs) should be constituted for every five years. Speaking at the book launch of ‘Indian Fiscal Federalism’ authored by former RBI Governor YV Reddy and GR Reddy, Das said decentralisation works better when power and functions are delegated based on which tier of governance is best suited to fulfil the responsibility. He also noted that the constitution has provided for delegation of certain functions to the urban and rural local bodies. “It is essential that State Finance Commissions are constituted every five years… and arrangements are made for their robust functioning,” he said. Das in speech highlighted three components, which are key to India’s federal system from fiscal perspective. First, Article 1 of the Constitution states that India, that is Bharat, shall be a union of states. Second, the Seventh Schedule of the Constitution allocates subjects to the Union and the States under different Lists, with overlapping functions contained in a separate Concurrent List. Third, Article 280 of the Constitution mandates formation of the Finance Commission every five years to recommend vertical and horizontal devolution of net central taxes and various other grants. The governor added that cooperative federalism should not, however, breed inertia. Alongside co-operative federalism, there has to be competitive federalism. “Over the past few decades, the actual working of these constitutional provisions have generated considerable debate. Successive finance commissions have made efforts to address the emerging issues and challenges, but in a vibrant democracy like India the debate goes on,” he added. He said that there has to be continuity and change between finance commissions and there is a need to give permanent status to these commissions. Talking about geopolitical concerns in the country, Das said such risks have necessitated higher expenditure on defence and internal security, adding natural calamities and disasters have called for expenditure on relief and rehabilitation. But aspirations of public have made sure that governments spend more on developmental programmes, he asserted. Sharing his thoughts on the GST Council, he said the committee is functioning on the principle of shared sovereignty. The challenge for the council now is to realise the full potential of GST for increasing tax-GDP ratio and work on other areas of our economy. Das also said that recent initiatives in fostering cooperative federalism have opened new chapters of cooperation between the Centre and the states. “Over the past several decades, finance commissions have adopted different approaches with regard to principles of tax devolution, grants to be given to states and fiscal consolidation issues. While at one level, there has to be a framework for fresh and innovative thinking by every finance commission, at another level, there is a need to ensure broad consistency between finance commissions so that there is some degree of certainty in the flow of funds, especially to the states. This has become even more critical in the post GST scenario,” he added.